Until 1911 Caversham was a large village in South Oxfordshire, a mile across the River Thames from the centre of the town of Reading. From ancient times it had been a place to cross the river between the Chiltern Hills and the Berkshire Downs. The village is mentioned in the Domesday Book and by that time, the end of the 11th century, there was a shrine chapel to Mary, Mother of Christ, beside the river, that was to become a major place of pilgrimage. 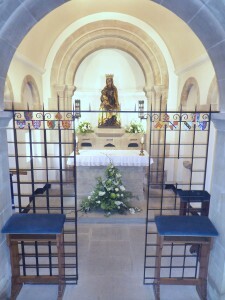 The ancient parish church of St Peter was the centre of the village’s faith life, and monks of the Augustinian monastery of Nutley near Aylesbury cared for Our Lady’s shrine, and welcomed pilgrims. The Reformation of Henry VIII ended Catholic life in England; the shrine was destroyed, and Catholic worship forbidden. However, the Blount family of Mapledurham House, two miles along the river from Caversham, remained staunchly Catholic. During the 16th and 17th centuries local Catholics gathered in secret at Mapledurham to celebrate Mass whenever a priest was able to be present. In the 18th century a chapel was built onto the house as the Mass centre for the area. In the 1840s St James’ church was built in Reading town, so the few Catholics in Caversham could attend Mass there as well as Mapledurham. On the high ground above Caversham village stands Caversham Park, a great 18th century mansion, now home to BBC Monitoring and BBC Radio Berkshire. 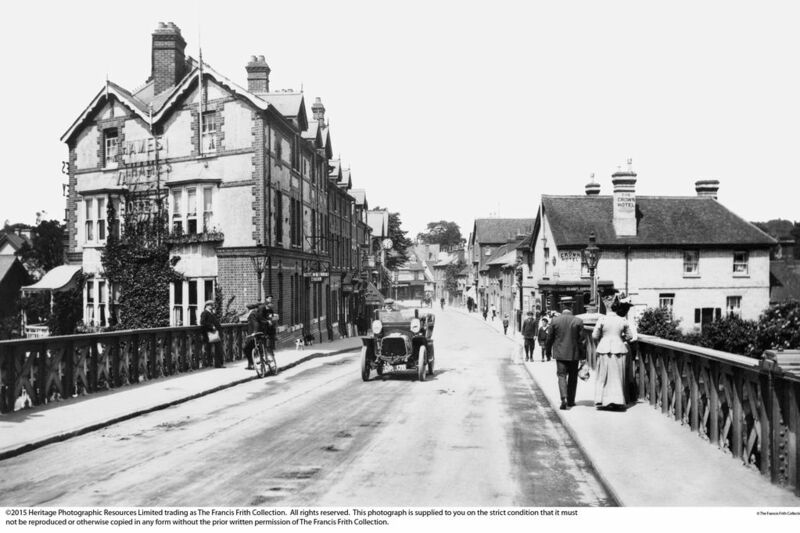 In the 1890s Mrs Florence Crawshay, the wife of the wealthy industrialist who owned the house, became a Roman Catholic, and in 1895 she, together with another Catholic lady, Mrs. Anne Lovegrove, invited a group of French Sisters of Mercy to come to live in Caversham. The Crawshays provided them with a house called ‘The Firs’ on the edge of the village, and the local Catholics were then able to have Mass and the sacraments in their own neighbourhood. The following year Bishop Edward Ilsley of Birmingham formally established the parish of Caversham, and appointed Father Cornelius Klomp as the first parish priest. 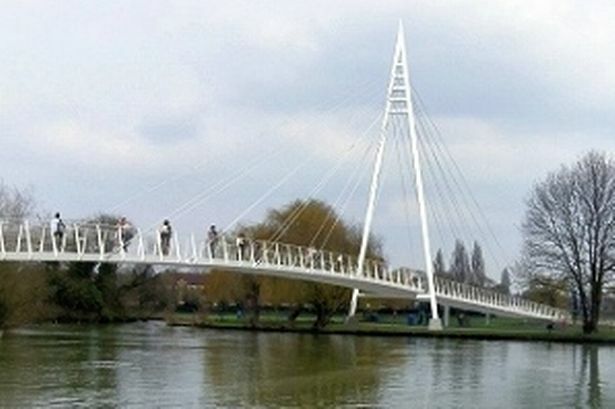 The parish was given the title of Our Lady and St Anne, to recall the former shrine of Our Lady of Caversham and the chapel of St Anne which stood on the medieval Caversham bridge. Fr. Klomp celebrated the first Parish Mass at ‘The Firs’ on Low Sunday 1896, and it is recorded that 13 people attended! However, development was rapid and the following year, when Father Raymond Haskew replaced Father Klomp as parish priest, there were 81 Catholics attending Mass. Another generous benefactor, Dr Cockran, purchased the land between South View Avenue and Gosbrook Road as a site for a new church, presbytery, school and convent, and the first parish building, a school/chapel was blessed and opened in 1899. The two-roomed building served as school during the week, and Mass centre at weekends. It is still in use as a part of St Anne’s Primary School. With the aid of generous supporters such as Mrs Crawshay, the building of a parish church was soon planned and, on 6th February 1903, Bishop Ilsley formally blessed and opened the church. It was then a single-aisle church with sanctuary, and adjoining presbytery, but in 1907 the south aisle and tower were added and, in 1921, the north aisle. On 26th July 1933 the church was solemnly consecrated by Archbishop Thomas Williams of Birmingham. 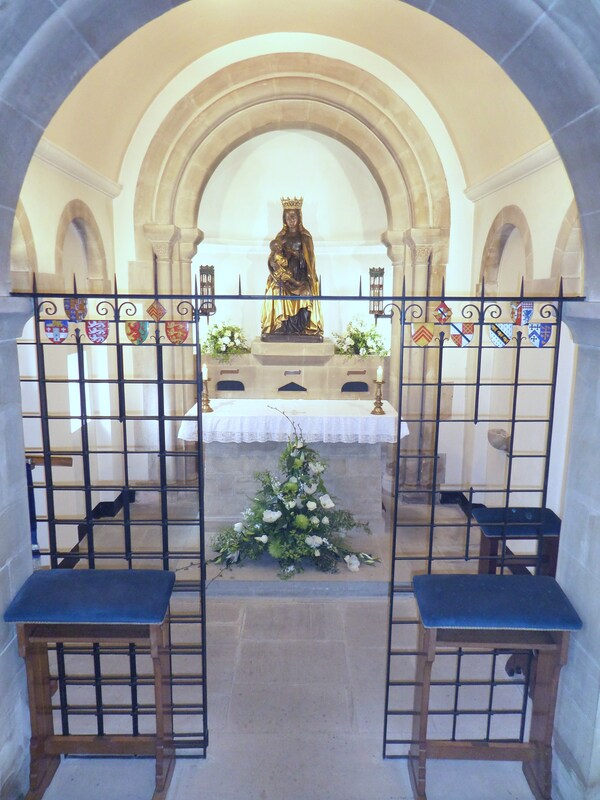 Since that date the one major addition to the church has been the Shrine Chapel of Our Lady of Caversham, built in stone, in the Norman gothic style, at the north-east corner. Then, to celebrate the centenary of the church, the Narthex (entrance space) was extended, and the Cenacle, an octagonal meeting and social room, was built on the south side of the church. This centenary extension was solemnly blessed by Archbishop Vincent Nichols on 5th December 2003. The parish school of St Anne grew rapidly in its first few years, and in 1902 Belgian Visitation Sisters were invited to establish a community in Caversham, and to take responsibility for the school. The original French sisters of Mercy left in 1909. In 1914 a large parish hall, with stage and parish rooms, was opened, but immediately was taken over for use as a hospital for wounded soldiers of the First World War. In 1919 it was returned to the parish but, as the number of children attending the school continued to grow, it became incorporated into the school site, and now serves as the school hall during the day. Originally the parish of Caversham covered a huge area of South Oxfordshire, but in 1897 the parish of Goring-on-Thames was established, and in 1955 the Mass centre at Sonning Common was separated as a new parish, later to include the large estate of Caversham Park Village. So, now the parish stretches about five miles from east to west, and two miles from the River Thames in the south to Emmer Green in the north. Most of this area is within the borough of Reading, with new housing springing up on every available piece of land. Caversham is now a truly diverse community, with people from many parts of the world making their home here. This diversity shows in the mix of nationalities seen at Our Lady and St Anne, and it contributes greatly to the life of the parish.